I often preface my knitting projects by calling them “easy.” The reason is because I usually select patterns that are truly simple to make. They usually require no intricate stitches and I seldom use patterns with complicated charts to read. If you know the knitting basics, any beginner knitter will agree with me. This goes for items I create on my own, like these baby hats and these lace ponchos. 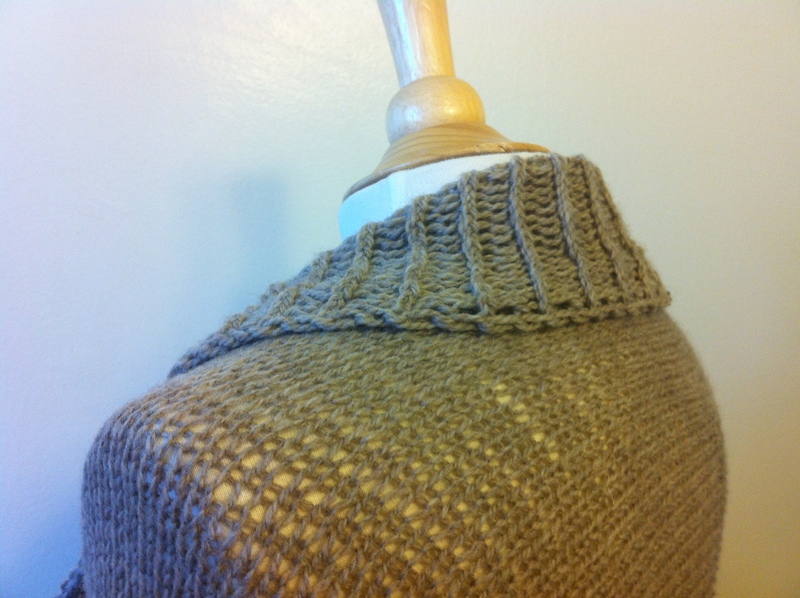 I think my latest project earns the title of the easiest garment I’ve ever knit. It’s a bolero. And a cute and wearable one at that! I don’t think I’ve ever experienced a bigger “AHA” than when I figured out the construction for a bolero. What? All I do is knit one long piece, sew together the arms, and pick up the sides? That’s it? No seaming together pieces? How can something so cute be so simple?!? Yep, that’s exactly how I knit this bolero: I knit a panel (that looks like a shorter but wider scarf) using a simple stockinette stitch; create sleeves by sewing two sides of the panel together; and pick up stitches around inside the panel using a rib stitch and knit 2 purl 2 all the way around. It’s a little difficult to explain it without any visual aids but I’m sure I’ll knit another one of these little shrugs soon and I’ll post a tutorial then, for anyone interested. Boleros are so awesome because it’s light and perfect for breezy summer nights, just like ponchos. It’s also a great remedy for someone like me who loves summer dresses but don’t feel comfortable showing bare shoulders and arms. 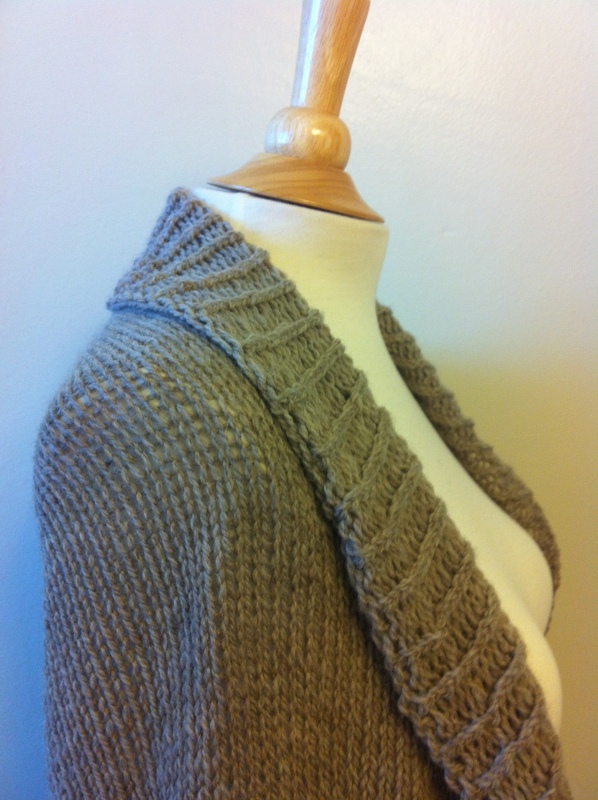 I used one skein of Cascade 220 Sport in Doeskin Heather.